It's 40°F Outside. Is Your Homepage Bundling Up? 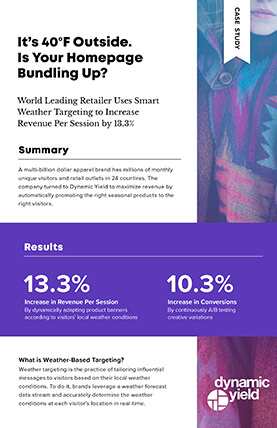 This Free Case Study will show you how a billion dollar apparel brand turbo-charged sales using Dynamic Yield’s weather-based targeting.